TAKE THE QUIZ & SLAY YOUR DAY! Do your days seem to get shorter and shorter while your to-do list gets longer and longer? You might just have a productivity sucking monster plaguing your day! 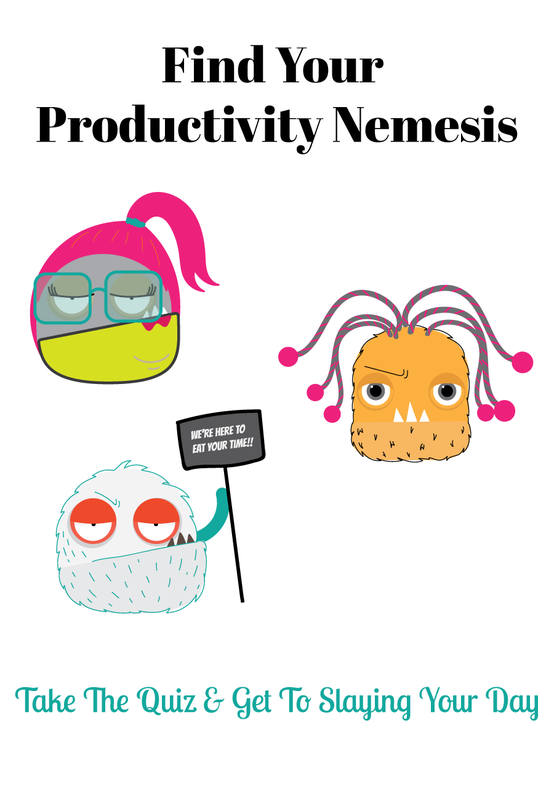 Discover the identity of your productivity nemesis and get the secret weapons you need to fight back. One thing I know we could all use more of on our entrepreneurial journey is TIME! Using your time effectively and efficiently is the basis of a successful business. You can have the best strategy in the world, but if you can’t execute it consistently, it’s never going to work. Let me make your entrepreneurial journey a little bit smoother by giving you the weapons you need to slay those productivity killing monsters that pop-up. Take the quiz and save TIME!